Ernest D. Coursey is a life-long Atlantic City resident. His political career started over 25 years ago when he became Atlantic City’s Third Ward Councilman. During his tenure in public office he was re-elected three times. He served on City Council from 1991 to 2002. He also served as both Council President and Council Vice President. Ernest continuously strived to make the Third Ward “a shining example of community spirit and pride.” He was the first Councilman to operate under an “open door policy”, publish the first ward-wide newsletter; and establish the Third Ward Eye-On-Crime, to monitor criminal activity in the neighborhood. Ernest’s annual holiday events, food drives, Senior Citizen Day and Youth Day at the Steel Pier were enjoyed by many and served to unite the entire city. “Coursey Cares” is a sentiment that is echoed throughout the community. Ernest has earned a reputation as a fighter, non-conformist and “people person”. He brings a proven philosophy: that of leadership and respect for the people! In January 2002, Ernest accepted an administrative position for Atlantic City’s then newly-elected mayor, Lorenzo T. Langford. As Deputy Mayor, Ernest’s role was expanded to include the entire city. His job was to ensure that city government best served its most valuable and precious asset: the citizens! In 2006, he left city government. He returned to his current position as Facilities Manager of Surf Stadium/Bader Field in 2011. Ernest also served as Staff Assistant to former United States Senator Robert Torricelli. He worked on former Governor James McGreevey’s Transition Committee for Transportation and was a Commissioner on the South Jersey Transportation Authority. 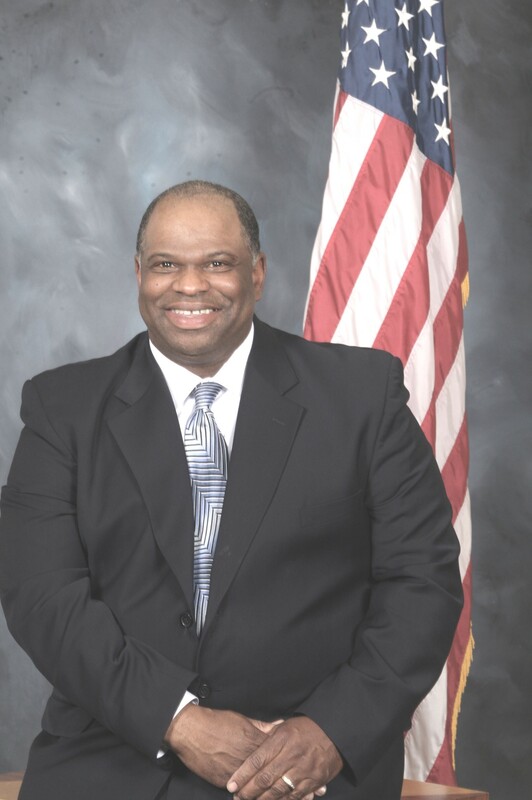 On June 4, 2013, Ernest overwhelmingly won the Democratic primary election for Atlantic County Freeholder District One. On November 5, 2013, he was victorious in the general election. Ernest credits God Almighty and looks to Him for inspiration and guidance. His parents, Raymond and Hazel, and his seven brothers and two sisters have given him a true sense of family. Ernest and his wife, Leslie, have two sons, Ernest Jr., and Ethan. In his spare time, he enjoys boating, fishing and attending family functions.